Very few of us ever see the history of our own time happening. What more of our view of an event that happens outside of time? Of an event which—to us being in time is, at least, ever happening? What then? I was outside my job a Wednesday morning not too long ago doing carpool—kid drop off for my school, when a number of parents brought to my attention the overwhelming amount of cars in our shared parking lot with the Catholic church next door. It was one of those overcast, grey days which you one can easily find all too uneventful, yet which is a prime environment for “an event” to happen. Then came the questions. Apparently, there’s this view out there that I am the “go-to” source of information on everything Theological. To be frank, I had no clue what Ash Wednesday or Lent fully meant to Catholic parishioners until I took the time this last week to look it up. The most I ever knew was that Ash Wednesday the day Catholics put an ash cross on their heads to compete (so my mind made up) with the Hindu Bindi. 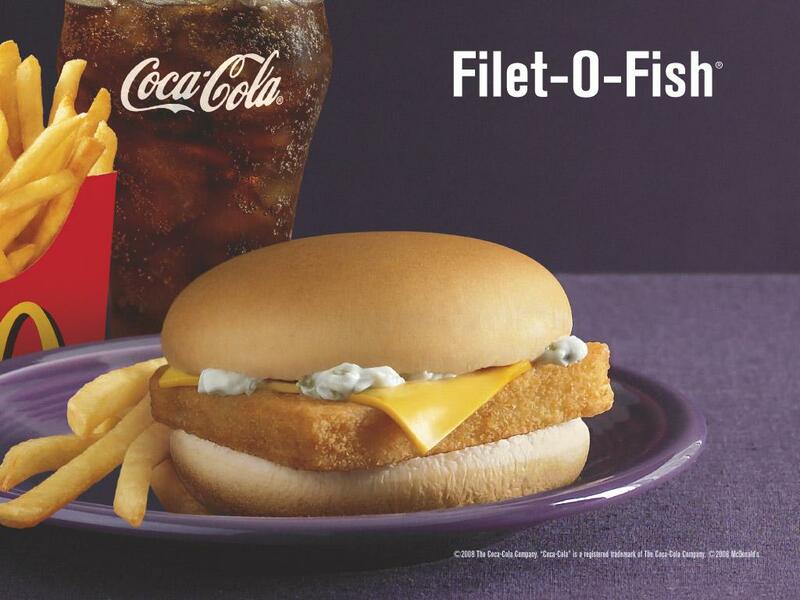 And as far as Lent was concerned, well, that was the time McDonalds brought back the McFish (Filet O’ Fish) so that it wouldn’t lose money during the 40 day period. Beyond that, was only jokes I had made in High School to Catholic kids that they seemed to have a little smudge on their head, and need to go wash. And that Lent was where you gave up something you liked but could do without—something you liked, but not so much that it would be a real burden to go without it for 40 days. So I’d joke about giving up Lent for Lent. I’d give up (in my eyes) the act of giving up. But as I said, that day not too long ago, was a day ripe with historical significance—even if to me then and now, I cannot [fully] see it. The only thing I have the ability to do, is tell the story of what I saw; while all the while, something went on outside of my scope of view. There’s a funny refrain which is sung in the background when your life is consumed with the thought of something else entirely. And it becomes quite clear (at least at some point in life or ultimately, in death) that it isn’t a song of refrain—as if life had suddenly been put on hold whilst you figured out what you needed to, but ultimately, that it in fact, kept going despite. The nerve of such a thing. I have been struggling personally, with the possibility that I may have Adult ADD. To some, this is a meaningless term shrouded in mumbo jumbo, psycho-babble which actually under all that “white-washing,” really just means that you have issues with self-discipline, or control, motivation. Within this struggle, my mind has been focused on nothing but what I’ve come to believe to be a sense of healing. Knowing that what I thought to be normal, a life personal to me, a struggle I must face, and then coming to a place where I found out it may not be the case; further coming to a place which stressed a proverbial light at the end of the tunnel, a treatment, I cannot seem to focus on anything else—not passions and pleasures, not hobbies, not anything. My eye was too fixed on the hopeful light at the end of the tunnel, and my mind too focused on bringing that light into proximity, that I not only couldn’t see the tunnel itself, nor the things in it I’d stumble over, but that that light wasn’t something at the end of a journey, but something which surrounded that journey, if only seeming to be at its end. While I’m stuck in a place of dying and rebirth (as the “light at the end of the tunnel” is consistently associated with), life—the light, itself is occurring outside my poorly constructed viewpoint. So I found myself, waking one day (that’s today! ), in to the middle of Lent. As I became aware after searching and studying, Lent is a time of preparation and penitence for the coming of Easter. And, Easter, as is understood in the West, is the time associated with the death and resurrection of Christ. I specify “the West,” because it is apparent that inconsequential of your belief in the mere (small) man known as Jesus, or the God (giant) who is known as the Christ, we are all too close in knowledge of Him to be unbiased in our opinions of Him. This has led to the formation of two great armies—battling not only about the man Jesus, but fighting to the end on the vital point of Easter; whether it fits into the celebration of Spring, or whether the celebration of Spring fits in to it. I myself, am in the camp of stating that both are a symbol, and that neither do what they are symbolizing [complete] justice. Whatever you consider to be the myth, the error lay in the simple truth that the deliberation of the mythology something more mythical than the myth itself. It has always seemed the case that ‘people of intellect’ have thought that religion and beliefs to be this way. That while they know the truth of all things, those that practice religions are not in on the truth. Let them believe in a symbol of what is actual and real, to be God. The truth lay in that Jupiter is no God, but a mere planet. Neptune is no deity, but merely the ocean. The coming of Spring is no return of a God, but a mere cycle of our planet’s rotation around the sun. Quite plainly, of course, it is in fact the other way around. Jupiter is a representation of the planet, but the planet is a representation of something even greater. Neptune is a representation of the ocean, but the ocean is a representation of something even greater. I know many to believe and preach that Judgment will occur at the end of time. These are also the same to believe that it’s at the end when evil—Satan, will be finally done away with. But what if this is already occurring? What if it’s an event that is outside of time and thus, taking place regardless and quite independent of what transpires in our lives? Well then it would mean that it isn’t something which could occur in our lives—as if we choose it, but that our lives occur in, as it choosing us. And those people that believe it happens at the end of time are at least partially correct, but genuinely miss the scope of it. They see the earth as flat, and that someday, we’ll fall off the end of it—when the timeline ends. But what they don’t see is that the universe—the space we fall in to is all around us, is holding us up, is occurring just outside our scope. History in the making, outside of history itself. An event which [seems to] make us; not us making it.Ash Wednesday is a day of mourning and repentance to God, sacramental in the mythos and doctrine of a return of focus and contemplation of Christ’s sacrifice. Yet frankly, that sacrifice occurs whether it’s observed or not. I have not myself been in a state preparation for the coming of Easter. It’s truly been one of the last things on my mind—as it seems all holidays have been right up until their occurrence. Yet Easter has been occurring without my focus on it; and in a sense, my lack of preparation doesn’t mean that it hasn’t been preparing for me. If Jesus’ words were true, every moment (the Now, and…now, and…now) is a moment where I am not only being judged, but drawn (the Greek word is helko—which is commonly associated with “romance,” thus, I’m being romanced) to Him. And this which occurs, occurs without me even having the ability to perceive its occurrence. So this year, I really am giving up Lent for Lent. I’ve given up attempting to understand a mystery which—by all rights, wants to remain so. A mystery that I cannot figure out, but seems to me, one that has figured me out. By doing so, I’ve realized that it is not so much the mystery which I’ve given up, but myself. And that, it seems, is the true heart of the observance of Lent. There will come a time when I—as we all will be, am faced with the Truth, that is, what is real. The funny thing about it will be that I feel it will turn out to be exactly what we all never could completely understand it to be. The mystery of Truth is that even when it will stare into our eyes, we will be no less astounded by its mystery; that is, even when it ought to no more be a mystery that is precisely what it will remain. For it is not it (Him) who will change, but us. Many under the impression (dogma) that when the Bible speaks of Justice, of Judgment, it refers to us “getting what we deserve.” Yet this view is inherently flawed for it is still based on our view of what Justice truly is. If this were the case, we would not be in reception of something wicked, but of nothing at all. For what we truly “deserve,” if you want to call it that, is not a bad something, but nothing. We are “deserving,” of neither good nor ill, Heaven nor Hell, paradise nor punishment, but merely non-existence at all. The opposite of God is not Satan, not Hell, but nothingness. So what is Justice? And ipso facto, what is the “judgment” Jesus refers to? It plainly does not entail humanity, “getting what it deserves,” but must entail God getting what God deserves. And what is God getting what God deserves? What about, “all glory and honor and praise?” Well what would give Him all glory and honor and praise short of a completion of what He started–namely, the Creation of Man in His image. This is to say that, while scholars and theologians have got it right, God is good, and we are not (and further, they squabble over which point is more important to focus on); it is in them both which we see the “light.” For God is indeed good, and I indeed am not good–that is to say, my sinful nature “keeps me from Him,” but it is in the very heart of my sinful nature that I come to rightly see just how good God is. As William James concluded, the only reason for God to create would be out of Love. So why create a man (me, and ipso-facto, mankind) destined to fall short? Why, if for nothing save for the revelation to that man–through falling short, through sin, through never being good enough, never earning it, that He (God) loves him (me, mankind) for no reason at all. It is in this light which make my sinful nature something to be viewed not as a curse which keeps me from God (though it does, there should be no denying that fact–no remaining on that as the focus should also be avoided), but as a necessity–one in which, through I am able to truly see how much God loves me. And that, at the heart of it all, who and what I am is loved by God for no reason. With this, the thought of being created with a sin nature, having a story of the “fall,” being set up to fail, fall, miss the mark (vastly) is for nothing but to prove the aforementioned to me (and by me, I mean to include all mankind). In this, the “judgment” that Jesus refers to occurring “now,” is a revelation to all that we are created for no reason but love, and loved for no reason but being created. Thus, that “judgment” which occurs can take many forms and even look like destruction. And perhaps it is. Perhaps I am being “destroyed,” but perhaps this only looks this way from my perspective. A slow and steady destruction of the me which—as I get older, there seems to be more and more of, to the point where even when all my mind can focus on is that me, destroyed to see a love of me completely outside of anything I can build up of myself that I deem lovable. And what to me seems like a lifetime—my lifetime, is to God merely one day. The ashes placed on the foreheads on Ash Wednesday come from the burnt palm leafs of last year’s Palm Sunday. Traditionally, the palms were a symbol that was laid down when Jesus entered Jerusalem to die; but more symbolically, a symbol of us laying down our lives for Jesus. As such, the act of burning the palms to create the ashes of next year’s observance of Lent can be taken as symbolic of us being burned to ash. Many can point to the Jesus who said that there are those that God will utterly destroy, basing not only their views of others and their fate on this, but their views of God. Yet this is the same Jesus who says in other places (without distinction or specification as to whom) that he has come to save the sick, the lost—thedestroyed. Maybe when Jesus said in the Book of Revelation that, “Behold, I am making ALL THINGS new!” This entailed them first being burned, being destroyed. It is then feasible, that I (and all I’s in this world)—whether we observe it or not, are in Lent every day. Something that does not need to be observed, but something for us to be observed by; something far beyond a 40 day period of fasting and sobriety, but that life itself can be considered Lent. For we are all in lacking, we are all in a missing of what is real, what is true, what is good.